A construction site at 2129 W. North Ave. in Wicker Park, future home of the Michael R. Lutz Family Center. WICKER PARK — Work is underway to bring the Jewish Council for Youth Services' daycare and early childhood center to North Avenue, the nonprofit group announced in a news release that described Wicker Park and Bucktown as "vibrant neighborhoods in which young professionals are settling down and starting families." Located one block west of the Milwaukee-Damen-North avenues intersection, the future home of the Michael R. Lutz Family Center at 2129 W. North Ave. replaces Shure, a manufacturer of educational toys and puzzles that relocated in 2013. “JCYS has a proud tradition of providing high-quality Early Childhood Education, recreational and summer camp programs throughout the Chicagoland area,” said JCYS Board President Jeffery Heftman. Set to open next October, the center will offer infant and toddler care for children ages 15-24 months, full and half day preschool, after school and vacation day programs for grades K-6, along with summer day camps programs for up to eighth grade. 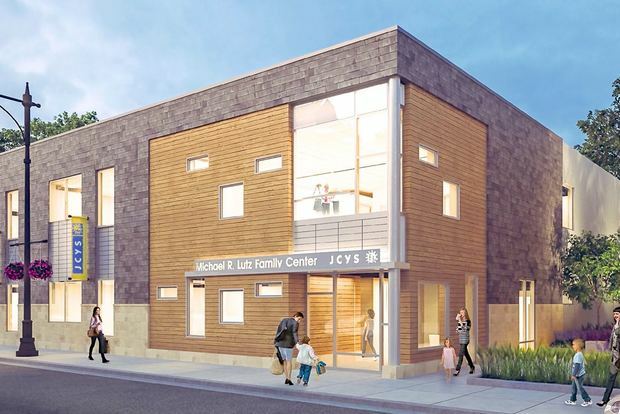 Serving families of all faiths, the new center plans to work with 300 families at the Wicker Park location and expects about half to be Jewish, a spokeswoman said. The two-story building, to be designed by Chicago-based OKW Architects, will offer seven classrooms including a 2,000-square-foot second-floor outdoor play area with rubberized walking surface and playground equipment. The 12,000-square-foot building's exterior is made of cast stone, slate and wood-like siding. The site will offer nine parking spaces, including one ADA-compliant spot and two van spaces. Initially having hoped to open this fall, the council, which bought Shure's former site back in 2013, ended up demolishing the bow truss brick building. "The original plan was to rehabilitate the structure, but it was eventually determined to be more efficient to construct a new building," a spokeswoman said, adding that the delay was also caused by a change in architecture firms. The family center's construction will be being funded by donations and matching grants. An estimated total project cost has not been determined as some of the interior plans are still being discussed, the spokeswoman said. 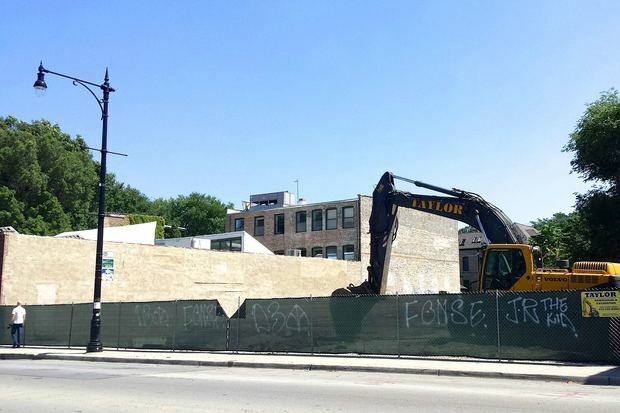 About 75 local politicians, donors, JCYS board members and alumni, and representatives from Bucktown Wicker Park Chamber of Commerce are scheduled to attend the groundbreaking at 6 p.m. next Tuesday. "We look forward to building new relationships with families in the community as their children benefit from our unique and enriching programs," Heftman said. The nonprofit Council, founded in 1907, has family center locations at 957 W. Grace St. in Lakeview, as well as in suburban Buffalo Grove and Highland Park. The Wicker Park location will offer the same Jewish programs offered at other outpost, including family Shabbat dinners, Purim and Chanukah festivities. Lutz, a graduate of Amundsen High School, insurance executive and philanthropist, died in 2009.